Was just looking through old pics of stogel meals. It scary that they call that food. But the cat food won't be Glatt, Bishul Yisroel, Cholov Yisroel etc. הצד השווה שבהם שלא נפסלו מאכילת כלב (או חתול), or else it might have the גדר of חספא בעלמא and not require all of the above. How could one? Even if the airline is known to serve the best KSML, things happen. It might not be loaded. Seal might be broken, etc. etc. Sandwiches, Fruit, Vegetables, Crackers, Cheese, Nuts, Potato Chips, cold (room temperature) schnitzel are all various options I've brought on flights. Being that I don't always bring a proper meal, with many options I'd prefer to have the KSML as some aren't that bad. No KSML out there is worth ~10K miles. Yet to experience it in rather extensive travels. Just a matter of whether you think you can rely on KSML or not, which my travels have taught me not to. Recently what comes to mind is a transatlantic AA flight, had great Borenstein meal, (Breakfast wasn't) I have no experience with AA KSML comp, but I doubt they'd give 10k, unless I'm wrong. Looking back at old posts on a WhatsApp kashrus group, it seems like RCC adheres to OU standards, however, they did have a few cases where Kashrus fraud was perpetrated under their watch. True, but they are in the cRc list and any list I've ever seen. I prefer those hechshers to random ones in Brooklyn that have no information online about them. 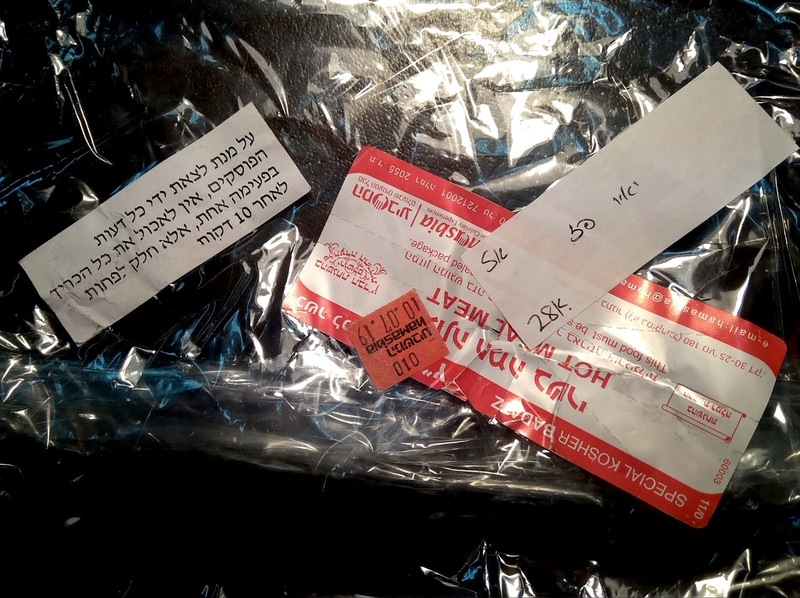 They want to make sure people aren't קובע סעודה if they make a מזונות.